The NWCA, in collaboration with Fresh Health LLC, is pleased to provide a FREE 23 minute skin infection webinarthat focuses on the identification, treatment, and prevention of skin infection in all sports. The webinar is perfect for coaches, athletes, and parents. Also, find a list of articles and resources to help combat skin infections. this patented online program provides athletes with a prescribed daily diet based on his/her body fat, weight, and hydration level. 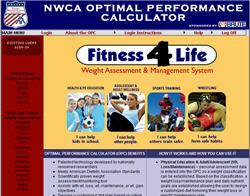 The athlete has the option of choosing a weight gain, weight maintenance, or weight loss program.The OPC is currently licensed by 37 state high school athletic associations and all collegiate governing bodies and directly benefits over 240,000 athletes each year who are maximizing their performance through the use of our proven sport nutrition tool. 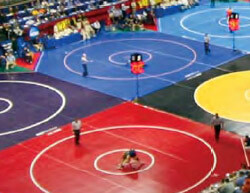 The NWCA works very closely with the National Federation of State High School Associations (NFHS) and Dr. Dawn Comstock, nationally renowned researcher at Ohio State University to track all sports related injuries. The official mat manufacturer of the NWCA, Resilite, is an industry leader in providing information on the safety specifications of mats (thickness, compression, etc). 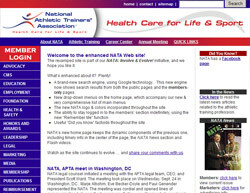 The NATA has provided a series of press releases regarding many aspects of sport safety.